Another great quick review provided by Sheri, whose daughter is allergic to dairy and egg. I am a big fan of Beauty and the Beast and as such was very exited to see Belle’s world come to life in the new expansion of Fantasyland at the Magic Kingdom. We visited in May of 2013 and we visited new Fantasyland on our very first day. 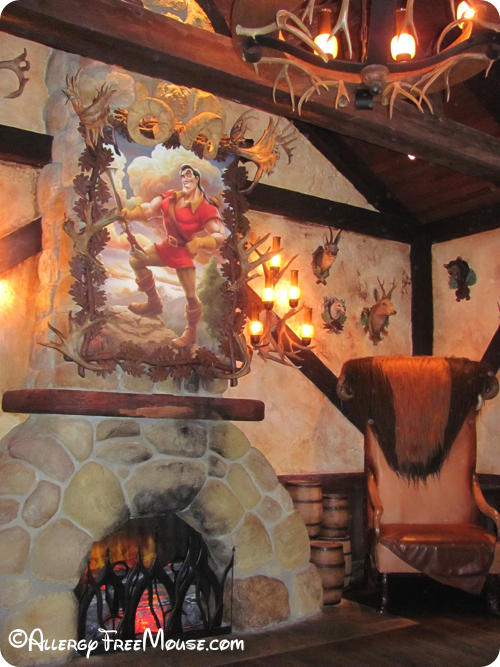 We went to Gaston’s Tavern for a quick snack. I told the woman a the register we were dining with food allergies (my young daughter is allergic to dairy and eggs and we all eat on her diet) and she gave us the ingredient book. Most of the items there are pre packaged and we choose hummus and pretzel chips. They also have veggies and ranch dip and apples and carmel dip. The fruit and veggies were fine but the dips contained allergens. However the cast member showed us that while they were packaged together the dipping sauce was in it’s own sealed container. The highlight of the stop was the LeFou’s Brew, which Disney describes as “Frozen apple juice with a hint of toasted marshmallow and topped with all-natural passion fruit-mango foam”. It was so good we came back later in the trip for some more! 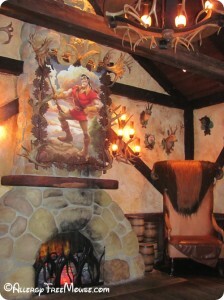 If you would like to review Gaston’s Tavern or any Disney restaurant, submit a food allergy dining Quick Review.